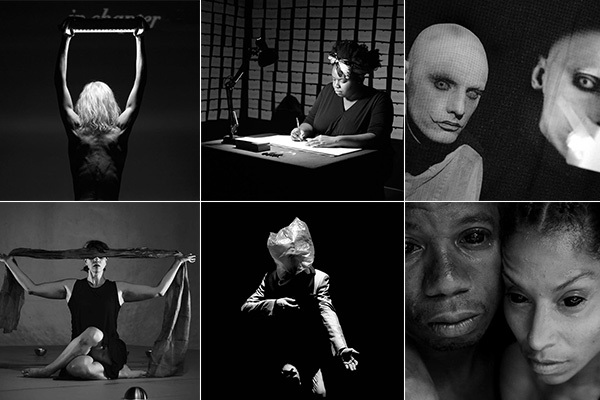 Progress is an international festival of performance and ideas presented in partnership by SummerWorks Performance Festival and The Theatre Centre. The Festival is collectively curated and produced by a series of Toronto-based companies, operating within a contemporary performance context. As a Festival that brings together performance nationally and internationally, we wish to acknowledge that Progress takes place on the traditional territory, Tkaronto, “Where the Trees Meet the Water,” “The Gathering Place” of the Mississauga, Anishinaabe, Haudenosaunee and Wendat Nations. As we come together, we pay our respects to all our relations who have gathered and will continue to gather in this place. The Theatre Centre is an accessible facility, with barrier-free washrooms and an accessibility lift to facilitate movement between floors. If you are planning a trip to The Theatre Centre and have any questions about accessibility or would like to make any special arrangements, please call our box office at 416-538-0988. We will be happy to make any arrangements to help facilitate an enjoyable visit. PROGRESS PASSES: Progress 3-Show Pass / Good for one ticket to your choice of any three ticketed Progress productions / $60. Award-winning performer Silvia Calderoni defies gender and genre in this visceral and visually ravishing production from Italy’s renowned performance troupe, Motus. MDLSX is an explosive performance-art-piece-meets-pulsating-DJ-set which refuses to be labeled or contained. It spills across barriers, both artistic and societal, in its exploration of gender ambiguity. Combining Calderoni’s own life stories with fiction, the works of Judith Butler, and rock & roll, MDLSX is a kaleidoscopic investigation of identity. It is a hymn to the freedom of becoming, to gender bending, to a being that cannot be contained by the borders of the body, skin colour, sexual organs, or a national identity. In three sittings across 24 hours over one weekend in Edinburgh, Selina Thompson wrote 1000 questions about race. You’re invited to answer one of them. 65. Are you black, or are you ‘new black’? 170. What is the long-term psychological impact of white supremacy on people of colour? 220. My mum does not talk about race anymore. It makes her uncomfortable, tired. Will this happen to me? 307. Why do people assume that racism will just passively die out if we wait long enough? 541. What ever happened to Kony 2012? 660. Who is more problematic—famous racist Nigel Farage, or the liberal journalist politely asking him questions? 720. When does it all end? Race Cards is a constantly growing installation and archive. Each version never takes the same form twice. It’s been a card game, a durational performance, and an 18 hour one-to-one. It has been supported by BUZZCUT, Camden People’s Theatre, Forest Fringe, and FIERCE Festival. Race Cards was commissioned and supported by Camden People’s Theatre, Buzzcut, Fierce Festival, A Nation’s Theatre and Leeds Library through Room 700. Dickie Beau presents a poetic performance of peculiar personas. LOST in TRANS takes Dickie’s sensational multimedia aesthetic to hallucinatory new heights. Continuing his shtick of using playback, in which he ‘channels’ voices he sees as being misplaced, misrepresented or misunderstood, Dickie breathes new life into found sound, ‘re-writing’ audio artefacts and playing them back through his body to become a live performing archive of the missing. Credits: LOST in TRANS was a Southbank Centre commission supported by a Jardin d’Europe contemporary dance award and a residency at Cullberg Ballet, Stockholm and has been presented at: Southbank Centre in London, Contact in Manchester, Homotopia Festival, Liverpool, Artsadmin, London, and City of Women Festival, Ljubljana (curated as part of the Live Art Development Agency’s ‘Just Like a Woman’ programme). Unsettling the widespread use of “contemporary” as describing European and white American theatrical dance, this series resists by asking: can we re-centre the contemporary as a shared inquiry, widening circles of inclusion, aesthetics and political frames through the body, divergent practices and perspectives, with care, rigour and curiosity. In Wild Moon & Eventual Ashes’ Becoming (Tkaronto), a woman journeys to the dream world to connect to her ancestral guides, challenge her oppression and trauma, and affirm her magic. In MWON’D (uma), Rhodnie Désir (Montréal) turns to the word’s etymology—moun, for human; mwen for me; and anmey, for cry of distress—to find the intimate, troubled and spiritual space of being. And in Gandhari, Gitanjali Kolanad (India) uses the mythological figure from the Mahabharata and the martial art form of kalaripayat to examine the effects of loss on the body, tracing a path from grief, through anger and revenge, to transcendence. Contemporaneity offers performances as well as free open process showings and conversations with the artists. Anandam is also pleased to offer the Audience-in-Residence salon, moderated by guest artists, inviting audiences to listen to each other’s questions, curiosities and experiences, and to write their own creative, collaborative, and critical responses. Come and be a part of this very special dance series, as we generate new ideas about dance, theatre, ritual, tradition, innovation and contemporary performance; as we hold together the multiplicity of meaning created in live performance. The arrival of more than 40,000 refugees in Canada since 2015 provides the backdrop to this timely work that explores our relationship to our Canadian identity; to our individual identities; and how we relate to “the Other”. In Dis Merci, four neighbours are getting ready to throw a party for a refugee family arriving in Canada. Despite their best intentions to accept the newcomers into their lives with genuine warmth, they quickly veer into prejudice, stereotypes, and dysfunction. Through dance, theatre, knitting, and inflatable objects, this deliciously awkward devised piece cracks opens complex issues around how we treat anyone who deviates from the norm. Joe Jack et John’s Dis Merci is the latest work from this innovative company that has been devising inclusive theatrical performances since 2003. Joe Jack et John incorporate elements of dance and the visual arts in its politically engaged artistic practice to throw into question the notion of alterity. Co-founder Catherine Bourgeois has created a searingly relevant show with an integrated cast of people living with and without disabilities. Having charmed audiences at home and abroad, Joe Jack et John make their Toronto premiere with a signature work tackling the realities of the society in which we live with grace, honesty, and dark humour. In minor matter, two apparatuses are at play—blackness and the spectacle. This is the second work by Dominican-born Ligia Lewis from her trilogy (BLUE, RED, WHITE). Three dancers push against the boundaries of the stage, while illustrating a humble relationship between their bodies and the space that encapsulates it. Lewis turns to the colour red to materialize thoughts between love and rage. Built on the logic of interdependence, the theatre’s parts—light, sound, image, and architecture—become entangled with the performers, giving life to a vibrant social and poetic space. minor matter (2017 Bessie Award for Outstanding Production) unfolds multi-directionally, creating a poetics of dissonance from which questions of re-presentation, presentation, abstraction, and the limits of signification emerge. The performers get exhausted as their bodies strip the stage of its formal mystique to approach its matter—black. Canadian tour developed in association with Montréal, arts interculturels. The 2018 Progress curators are Anadam Dancetheatre, FADO Performance Art Centre, SummerWorks Performance Festival, The Theatre Centre, Volcano Theatre and Toronto Dance Community Love-in.